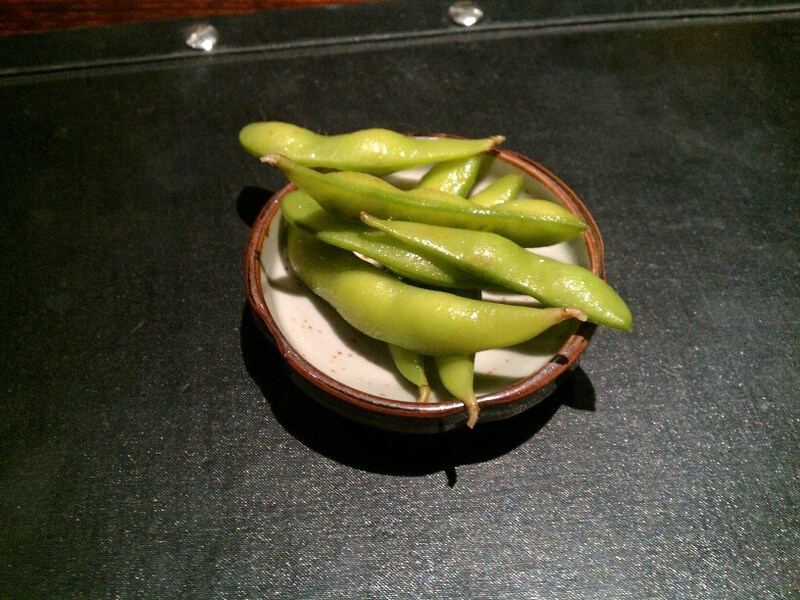 Cold and slightly salty, these beans have a nice taste, but the pods are unbelievably fibrous. I switch to chewing on these beans instead of eating them. 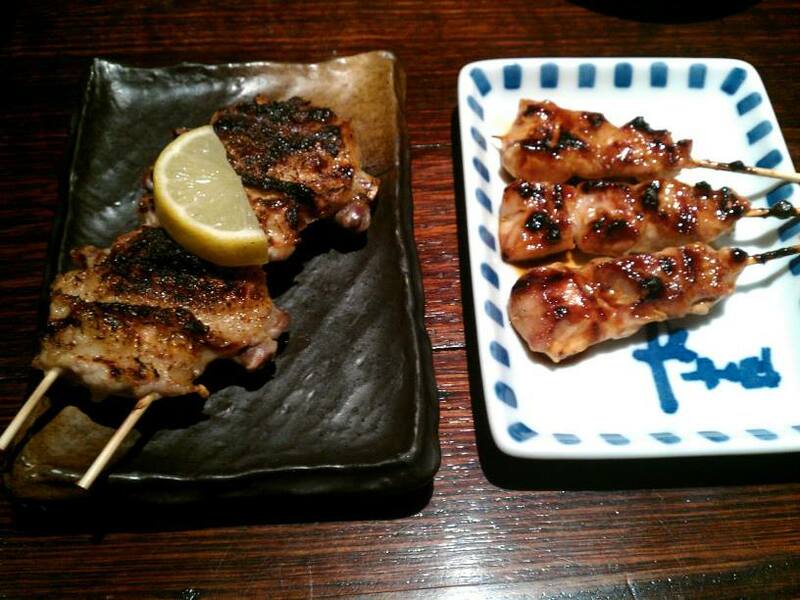 The grilled wings are crispy and juicy, with a tasty crispy skin. The lemon adds a nice zing. The beans are perfectly cooked yet crispy, but their mustardy taste is somewhat unusual with beans. 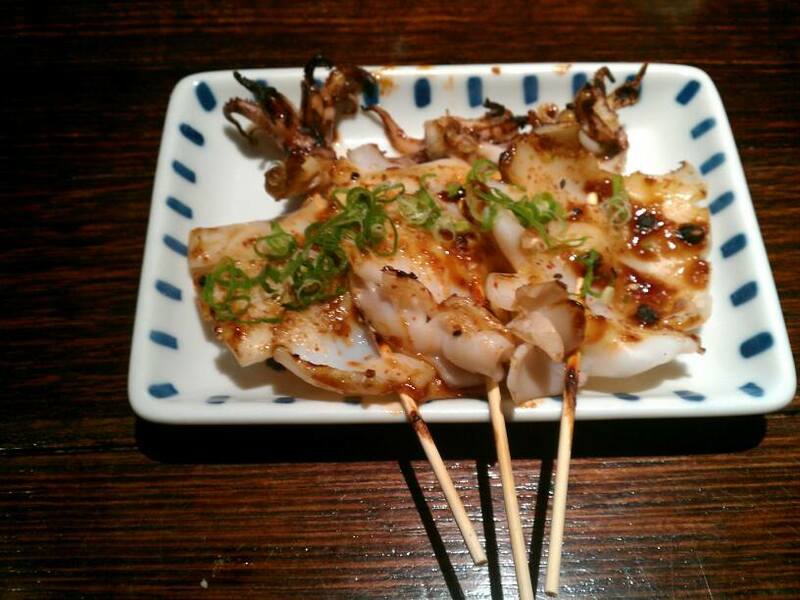 The little octopi weren’t bad, but the larger pieces of squid were just rubbery and tasteless. A basic chilli and soy topping didn’t change this. 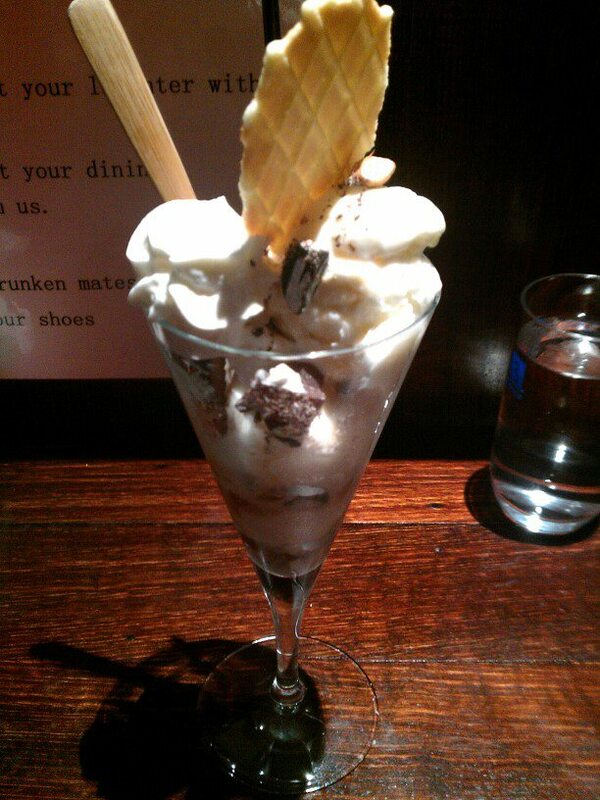 Black sugar plum wine with chocolate, almond & ice cream. These layered desserts can be complex. In the end, I just mixed everything together. The plum wine with ice cream is an interesting combination, but the ice cream is the partner to each of the other components of the dessert too. This dessert also contained cream, chunks of chocolate, and almonds. It was fairly random, but acceptably edible when all mixed together. Still not sure why this dessert needed a straw.